Child Safety Tips: As mercury goes up, so do safety risks for kids! Emergency-room professionals have their own name for the long, lovely, lazy days that kids look forward to in summer: trauma season. Because that’s when hospitals see a spike in drownings and heat-related accidents. MYTH: Pool parties are safe as long as adults are around. FACT: Many drownings happen when adults are close by. The problem is too much commotion. The key is to have a designated adult watching the water because that is where the danger is. The pool should be free of excess toys that can block the view of the water. MYTH: Floaties keep little ones safe in the water. FACT: Floaties are designed for fun, not safety. They give a false sense of security, can deflate and can slip off. MYTH: The kids will be fine in the pool for the short time it takes to answer the phone or get a cold drink. FACT: In a minute, a child can go under water. In two or three minutes, the child can lose consciousness. 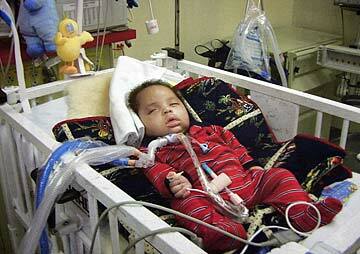 In four or five, the child could suffer irreversible brain damage or die. According to the Centers for Disease Control and Prevention, drowning is the second-leading cause of unintentional, injury-related death for children 1 to 14 years old, second only to car and transportation-related accidents. The article states several other myths and facts, which include the hazards of leaving children unattended in cars and car seats, as well as sun exposure and dehydration. We encourage you to read the article in its entirety. Let’s all have a safe summer out there, please!! Last month, we reported in a blog through our website, how actor Dennis Quaid is involved as a patient advocate, after his newborn twins nearly lost their lives back in 2007, from a medical error that could have very easily been prevented. Put simply, the precious twins were given two doses of Heparin instead of Hep-lock (an anti-coagulant medication widely used for children). Why is this significant? Heparin is a drug one thousand times stronger than what the twins were supposed to have received. We wish the best for the Quaid family, and hope that the discovery in this case shines a light on not only finding out exactly what happened in this case, but also makes information available that may be able to save the lives of other children from future similar medical errors. We will continue to monitor the course of this case. As a result, the CSPC is issuing a voluntary recall of ALL drop-side cribs, effective June 1, 2010. There will be new improved mandatory standards for cribs as well. 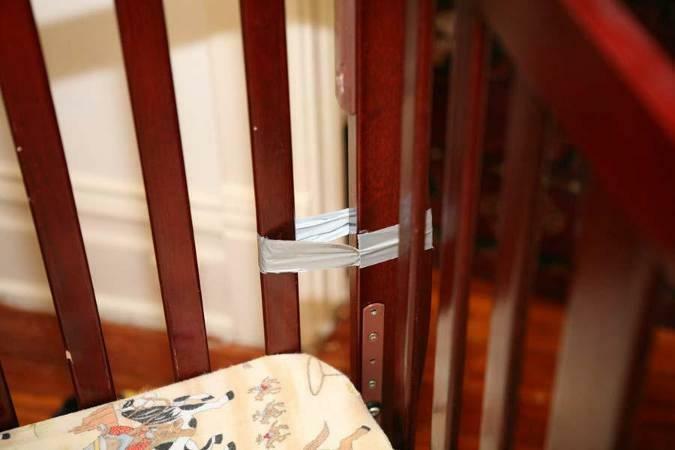 The CPSC announcement also provides cautions regarding older cribs and reminds parents to not use cribs with broken, missing of loose parts. Let’s hope these new standards save infants from injuries and death! On Monday, Dennis Quaid appeared on “The Early Show.” He talked about how he and his wife almost lost their newborn twins in 2007 as a result medical negligence. According to Quaid, Thomas and Zoe Quaid were supposed to be given the anticoagulant drug, Hep-lock soon after their birth. Hep-lock is a widely used anticoagulant designed for children. It is not nearly as potent as its adult counterpart, Heparin. By mistake, the newborns were given two doses of Heparin, which is 1,000 times stronger. Quaid noted that the Heparin administration reduced the consistency of the newborns’ blood to that of water. There was no justification for administering Heparin instead Hep-lock. Quaid has testified to Congress on behalf of patients’ rights, and Monday, he was to speak at the National Press Club to address the problem of dangerous medical mistakes. The article further notes that the Centers for Disease Control and Prevention estimated that approximately 99,000 deaths every year are due to preventable medical errors. This is shocking to say the least. What is occurring, however, is that not all physicians are accepting of this concept. The subject of this news story, a West Australian mother, Barbara Ayling, has cerebral palsy. This is one of the conditions that parents and researchers are hoping will prove to be treatable through stem cell research using umbilical cord blood. 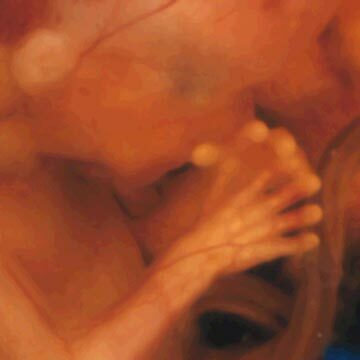 Ms. Ayling and her husband had made arrangements to have their baby’s cord blood stored through the age of majority. The plan went awry when the obstetrician who agreed to participate in this collection and storage process was unavailable and the delivery was performed by a different doctor who refused to carry out the procedure. “It’s a choice that I have the right to make. Apart from anything else, I’m spending a phenomenal amount of money to do this,” Ms Ayling said. The doctor declined to be respond when asked to do so by the station. Further details about this banking program were provided by an online video. The reporter asks her audience the opening question: “How much would you be willing to pay to guarantee your child access to a yet unproven but potentially life-saving cure for potential disease?” It turns out that at least in Australia, that price tag varies between $3,000 to $6,000. Unfortunately for some, this ‘investment’ in their child’s future health went the way of many investments – it tanked when the company storing the blood went out of business. It is clear that this practice is not restricted to Australia. More to the point, there are a number of companies in the United States ostensibly offering parents the same banking of their child’s umbilical cord blood. For instance, a company called Alpha Cord, which according to its website has been in business since 2002, promotes the fact that it is different from other cord blood banking operations in the United States since it provides parents with an additional layer of security for their investment. Alpha Cord provides its site’s visitors with videos about the process, purpose and benefits of storing a baby’s umbilical cord blood cells. The benefits range from future transfusion needs to potentially successfully treating later disease and/or injuries. Alpha Cord advises that currently hundreds of thousands of parents have elected to store their baby’s cord blood. In its comparative pricing chart, it compares its reduced price (ostensibly due to networking discounts) and parents are offered a geographical locator for participating banks and then an online calculator with options for how many years one may want to store their child’s cord blood. For example, if a parent were to store their child’s cord blood in Utah, the initial fee would be $775; whereas, storage in Chicago, New Jersey or Colorado would cost $1,395. Annual storage fees for Alpha Cord are $115 with a 20 year storage plan amounting to $2,180. If you would like to get a ‘comparative shopping list,’ Alpha Cord provides such a chart. Given the unwillingness of the Australian mother’s obstetrician, parents planning to utilize this service might be well advised to confirm that their obstetrician and those who might be covering for him/her are on board with the collection process. If you have had experience with this or similar programs but have encountered resistance by your obstetrician or hospital, sharing your experiences might be of great value to others considering banking of their child’s cord blood. Cerebral palsy – how common is it? A recent “Features” posting by the CDC (Centers for Disease Control and Prevention) provides some answers and gives parents some ‘early signs’ of which to be aware. While everyone knows that cerebral palsy (CP) can be a devastating condition, it is less well-known how common CP actually is. The Center for Disease Control recently released new data on the frequency of CP. In its study, it found that CP affects 3.3 per 1,000 eight-year-old children, or 1 in 303 children. This data was collected from select communities in Georgia, Alabama and Wisconsin, not the nation overall. Rates may differ slightly in other localities. However, the CDC pointed out that its most current findings on CP frequency were similar to previous studies which showed that CP affected 3.6 per 1,000, or 1 in 278 children. Of course, you always have your child’s pediatrician as a starting point. The CPSC has now added slings to products that require a mandatory standard. Because time is of the essence, the CPSC is working with ASTM International to attempt to put voluntary standards in place for infant sling carriers, as soon as possible. The release also has a link for reporting infant sling carrier problems: www.cpsc.gov/cgibin/incident.aspx. While the study group was a small one (15), researchers at the University of Michigan’s School of Kinesiology have reported supervised treadmill walking may help children with neuromotor delays. This study was reported yesterday in an article published in The Hindu. Rosa Angulo-Barroso, Associate Professor of movement science at the School, and her colleagues followed 15 infants at risk for neuromotor delays over a period of two years. They tested the changes in physical activity and treadmill-stepping performed with parental supervision in the children’s homes. Six of these children had been diagnosed with cerebral palsy. “We found that in those with neuromotor delays, the pattern of development through time was parallel (but less) than normal kids.” said Angulo-Barroso. “We also found less toe-walking, so foot placement improved.” Angulo-Barroso added. The study also suggests a critical intervention window. Both children without a diagnosis and kids with cerebral palsy improved the most between 10 months and 18 months. As The Hindu article notes, “The study, “Treadmill Responses and Physical Activity Levels of Infants at Risk for Neuromotor Delay” appears in the journal Pediatric Physical Therapy. It would be most interesting to see if a larger, multi-center, double-blind study could produce the same or similar results. I haven’t personally seen the ‘tot’ version of a treadmill, but a quick search on Google images does show some interesting devices (see picture on left). As researchers in the etiology and treatment of cerebral palsy keep working, the efforts of others such as reported here will potentially provide a wonderful interim measure toward helping these kids with special needs. We’ll try to keep an eye on this story and will report should more information become available. You are currently browsing the archives for the newborn health category.